I did this meme as a funny tribute to Sam Joseph. 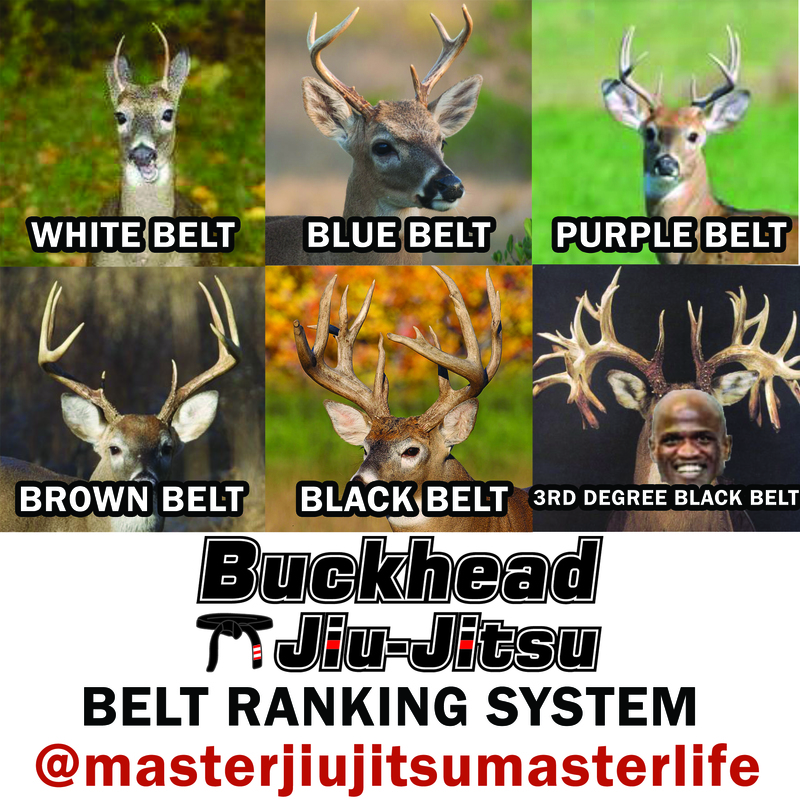 Same is one of my jiu-jitsu professors, a 3rd-degree black belt and owner of Buckhead Jiu-Jitsu in Atlanta, Georgia (if you are ever in town – a great place to train). He’s been practicing jiu-jitsu for many many years. Even though the meme was done in the spirit of comedy, there are many truths within this meme. Just like “bucks” in nature, it takes time for your attributes to flourish and grow. There is only so much you can do to expedite nature. Just like “bucks” in the wild, it takes many seasons to climb to the top of the pack. It doesn’t matter how much the young deer eats, sleeps, runs around, or observes. Horns can only grow so much and so fast per year. The maturity only comes from living through multiple seasons of life and then applying that experience. So it goes with jiu-jitsu. We would all love to be the monster buck but we have to let time work its magic and allow ourselves time to develop as nature intended.